Merck Foundation conducts their 4th Luminary for the first time in partnership of Ministry of High Education and scientific research of Egypt. “Merck more than a Mother” to be launched by Vice President of Tanzania and First Ladies of Central African Republic , Gambia, Chad, Niger and Republic of Guinea with the aim to empower infertile women in their countries. More than 450 African healthcare providers, policy makers and researchers from Africa and Asia to benefit from several educational and social development sessions. Winners of Merck Diabetes and Hypertension Awards to be announced. After the success of Merck Africa Luminary in Germany, Kenya and cote D’Ivoire, Merck Foundation, a non-profit company and a subsidiary of Merck KGaA Germany, to conduct the Fourth edition of their annual “Merck Africa Asia Luminary” on the 24th and 25th of October 2017, in partnership with Egypt’s Ministry of High Education and Scientific Research, Africa Fertility Society and the International Federation of Fertility Societies- IFFS. “We are very proud to have very influential women leader to inaugurate the Luminary such as: Vice President of Tanzania, H.E. Dr. Samia Hassan Suluhu, First Lady Republic of Guinea, H.E. Conde Djénè Kaba, First Lady of Gambia, H.E. Fatoumatta Bah-Barrow, First Lady of Niger, H.E. Aissata Issoufou Mahamadou, First Lady of Chad, H.E. Hinda Deby Itno and First Lady of Central African Republic, H.E. Brigitte Touadera. They will announce the start of “Merck more than a Mother” to empower infertile women through access to information, health and change of mind-set in their respective countries and the rest of Africa” Dr Kelej added. Two high level panels of Ministers of Health and Gender to discuss the challenges and solutions to improve access to fertility and cancer care will also take place. The second ministerial panel on “The Role of Merck Foundation Together with Governments to improve access to equitable healthcare solutions in Africa and Asia ”,” included Hon. Chilatu Chilufya, Minister of Health Republic of Zambia; Hon. Julieta Kavetuna, Deputy Minister of Health and Social Services of Namibia; Hon. Saffie Lowe Ceesay, Minister of Health, Gambia; Hon. Idi Illassou Mainassara , Minister of Health of Niger; Hon. Ngarmbatina Odimbeye Soukate, Minister of Health, Chad; Hon. Jocelyne Fernande Djengbot , Minister of Health, Central African Republic; Hon. Abdourahmane Diallo , Minister of Health of Republic of Guinea. Others in the panel include President of International Federation of Gynecology and Obstetrics (FIGO); Prof. Dr. Kailash Sharma, Director, Tata Memorial Centre, India; Prof. Dileep Mhaisekar, Vice Chancellor – Maharashtra University of Health Sciences (MUHS) India and Dr. Rasha Kelej, Chief Executive Officer, Merck Foundation to chair the panel. Healthcare Providers and Academia will also be engaged in an open dialogue to explore the educational gaps with the aim to inform the successful implementation of Merck Diabetes and Hypertension Capacity Advancement Program. In addition to witness the announcement of the winners of the ‘Merck Diabetes and Hypertension Awards’ from across Africa and Asia at the Award Ceremony Dinner. Countries participating include: Kenya, Uganda, Tanzania, Mozambique, Angola, South Africa, Zambia, Zimbabwe, Rwanda, Ghana, Nigeria, Sierra Leone, Ethiopia, Congo, Senegal, Cote d’Ivoire, Liberia, Cameroon, Central African Republic, Mali, Malawi, Morocco, Tunisia, Sudan, Gambia, Burkina Faso, Niger, Chad, Liberia, Burundi, Mali, Malawi, Equatorial Guinea, Russia, Uzbekistan, Sri Lanka, Bangladesh, Nepal, and India, Indonesia. 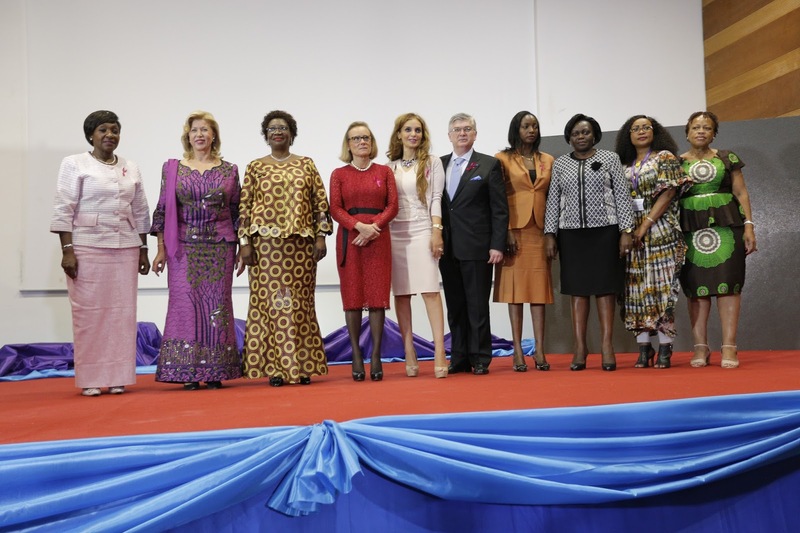 Dr. Rasha Kelej, Chief Social Officer, Merck Healthcare and Senator Dr Lanre Tejuoso, Chair Senate Committee for Health, Nigeria with infertile women from Nigeria who have been empowered through “Merck More than a Mother”. 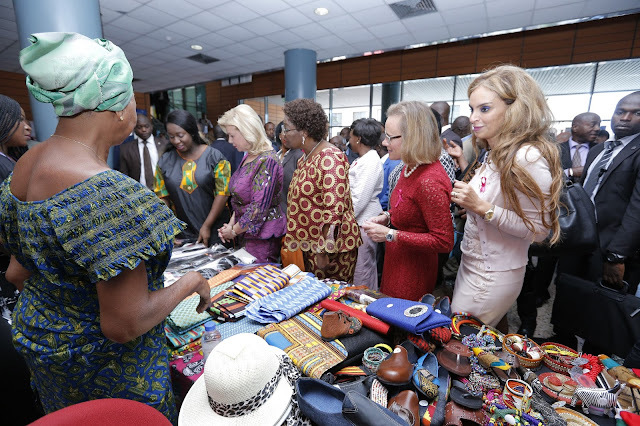 Read more about the 2nd and 3rd edition of Merck Africa luminary in Kenya and Cote d’Ivoire respectively. The Merck Foundation, established in 2017, is a philanthropic organization that aims to improve the health and wellbeing of people and advance their lives through science and technology. Our efforts are primarily focused on improving access to innovative healthcare solutions in underserved communities, building healthcare and scientific research capacity and empowering people in STEM (Science, Technology, Engineering and Mathematics) with a special focus on women and youth. All Merck Foundation press releases are distributed by e-mail at the same time they become available on the Merck Foundation Website. Please go to www.merck-foundation.com to read more and/or register online to interact and exchange experience with our registered members.